When you don’t want to heat up the kitchen this summer, reach for this fast and easy recipe. These delicious nachos are made easy with the help from rotisserie chicken and pico de gallo that I purchased in the produce section of mu local grocery store. You can certainly make pico de gallo at home using fresh ingredients, but when I went to the store to pick up a few groceries, a very friendly lady was handing out samples of Crazy Fresh pico de gallo. Since I was once a “demo lady” myself, I never pass up a free sample, plus I was hungry..
Don’t you just love nachos? I do! 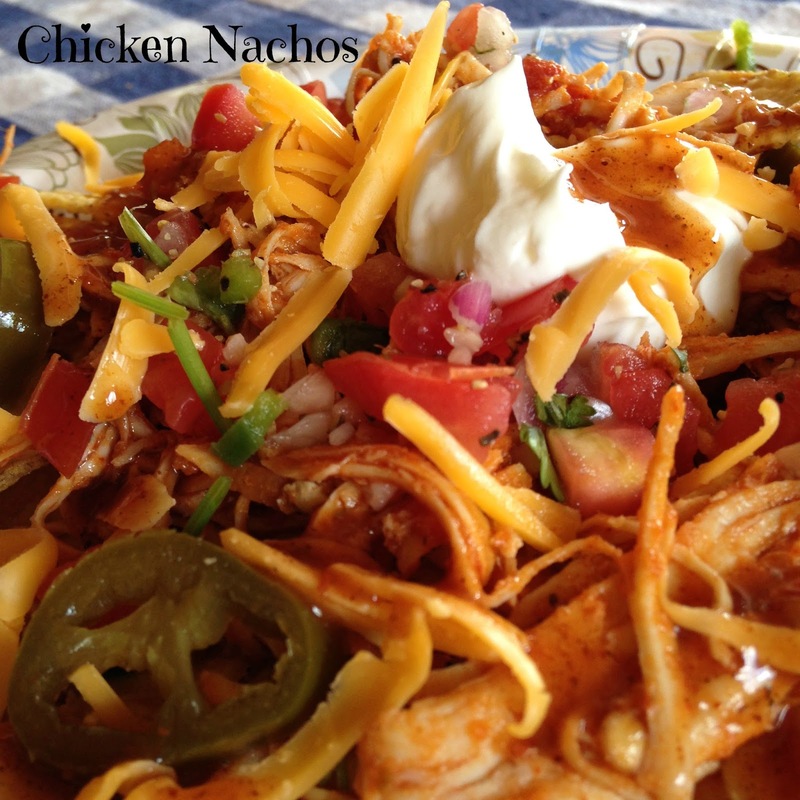 In fact, this recipe was inspired by some nachos I recently indulged in at the Milwaukee Brewers game. 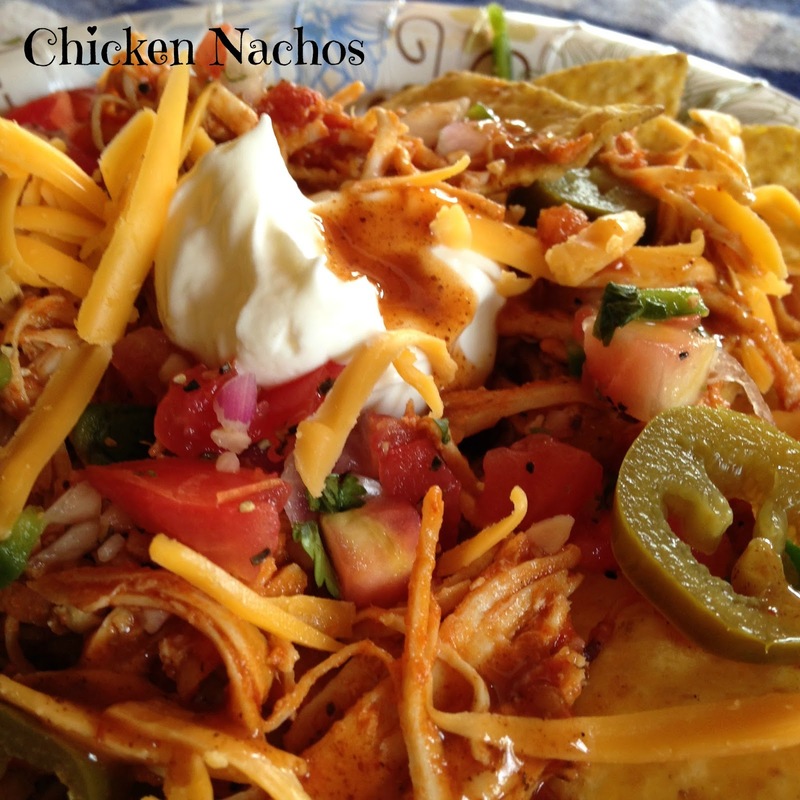 There’s something about nachos..I never feel guilty when I eat nachos either. To me its a “healthy” snack, sort of like eating a couple of tacos verses eating a big juicy cheeseburger. Plus nachos can be served as an appetizer, late-night snack, or light dinner. 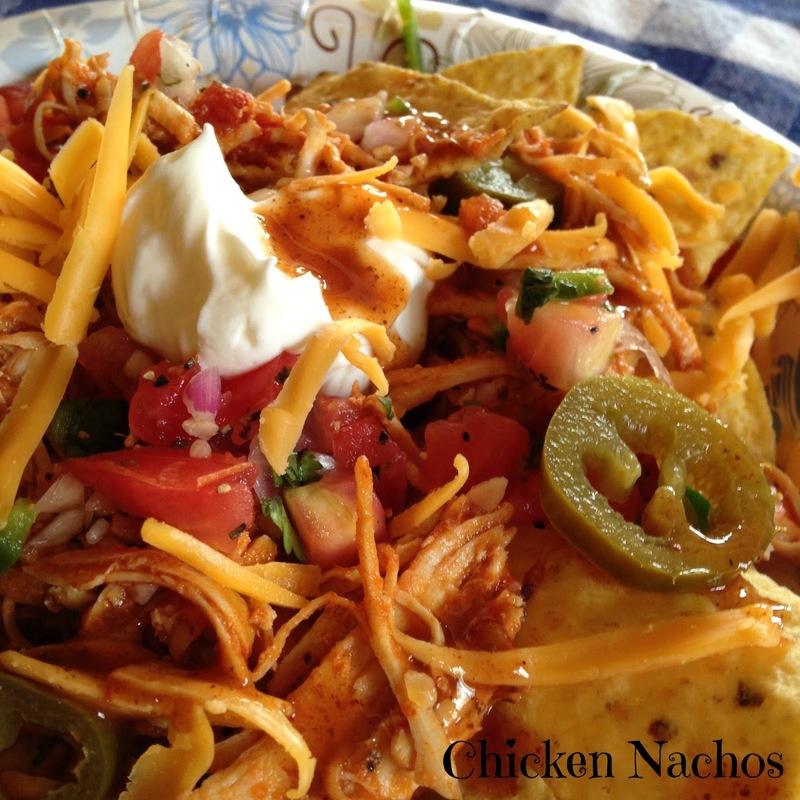 Serve individual bowls of nachos with a Mexican beer, like a Corona. In a medium skillet, combine chicken, salsa and water. Heat on medium-low until heated through or combine chicken, salsa and water in a microwave-safe bowl. Heat mixture on high until heated through, stirring often. 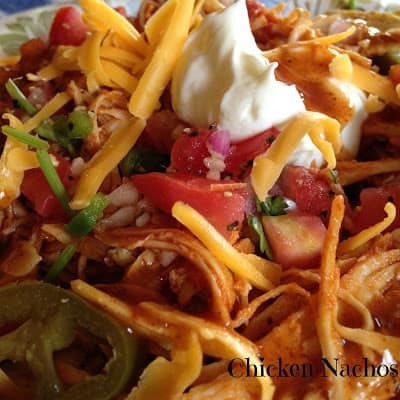 Fill individual serving bowls with tortilla chips. Top chips with warm shredded chicken mixture, pico de gallo, sour cream, jalapenos, and cheddar cheese. *Make your own pico de gallo or purchase at your local grocery store in the produce section. This is a great idea for Friday movie night supper! Thanks for sharing.